Jack Nicklaus’ acclaimed layout at Shoal Creek, which represents the Golden Bear’s first solo golf course design in the United States, will remain the host venue for the Regions Tradition, a major championship on the Champions Tour, through 2015 and will remain in Birmingham through 2018, according to a joint announcement by Regions Financial Corporation and the PGA TOUR’s Champions Tour. The tournament, which began in 1989 on the Jack Nicklaus-designed Cochise Course at Desert Mountain in Arizona and first came to Alabama in 2011, was originally intended to be played at Shoal Creek for just one year. Following a successful tournament in 2011, the club agreed to host for two more years. After recent negotiations, Shoal Creek will again host this year, on May 14–18, when David Frost will attempt to defend his title, as well as in 2015. The Regions Tradition will then relocate just a few miles away to Greystone Golf & Country Club for 2016, ’17 and ’18. The Jack Nicklaus-designed layout opened for play in 1976, earning the distinction of being the Golden Bear’s first solo domestic design. It has been a 34-year mainstay on Golf Digest’s list of America’s 100 Greatest Golf Courses, ranking highest at No. 14 from 1985 to 1986 and most recently ranked within the list’s top-75. In addition to hosting the Regions Tradition since 2011, the 7,154-yard layout has hosted two PGA Championships (1984, 1990), the 1986 U.S. Amateur, and the 2008 U.S. Junior Amateur. Moving this major championship to different locations in the same region is not uncommon. Two courses hosted The Tradition during its 14-year run in Arizona and two venues were used in the tournament’s eight years in Oregon. 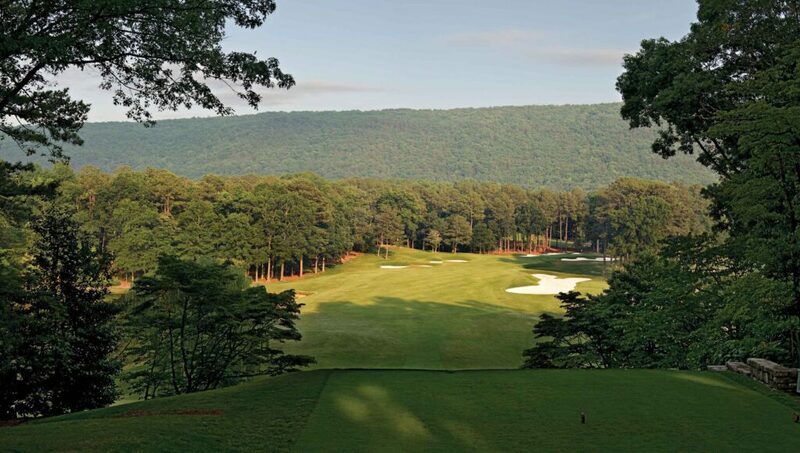 The championship relocated to Alabama in 2011 at Shoal Creek. Regions’ association with the Champions Tour in Birmingham has benefitted Children’s of Alabama and local area charities significantly, donating more than $13 million in total since the first Champions Tour event was held in Birmingham in 1992. Of that $13 million, more than $2 million has been donated since the Regions Tradition came to Shoal Creek in 2011. According to the Birmingham Convention and Visitors Bureau, the estimated economic impact in Birmingham is almost $54 million from 2011 through 2014. Each of the four rounds of the Regions Tradition will be broadcast live on the Golf Channel, the exclusive cable provider of the Champions Tour, reaching in excess of 205 countries and territories and more than 145 million households.